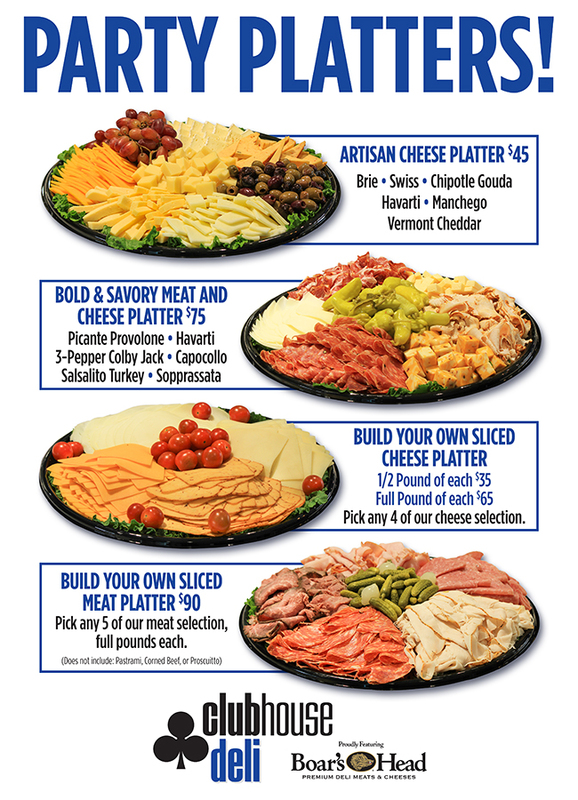 Clubhouse Deli now offers Party Platters of your favorite sliced meats and cheeses. Order for now for your next event! Pick any 4 of our cheese selection. Pick 5 of our meat selection, full pounds each.